The Minnesota Timberwolves will pay homage to Prince this season with a new uniform referencing his artistry. The black jerseys feature the word “WOLVES” in the purple and white lettering reminiscent of the Minneapolis native’s 1984 album Purple Rain. Check out the pictures below. The jerseys will be the Timberwolves’ “City Edition” uniforms from Nike’s new collection that gives each NBA team its own unique jersey. 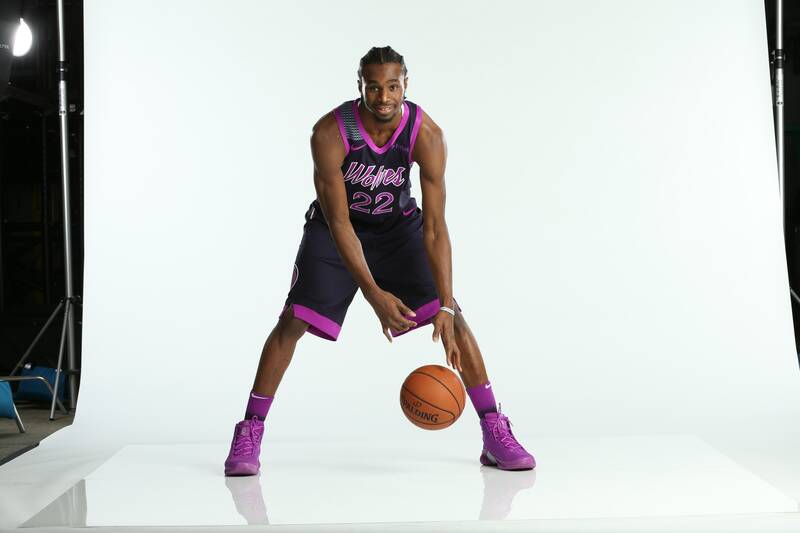 “The Nike NBA City Edition uniforms represent insights and emotion from the court to the upper deck to the cities’ streets, in pursuit of a unique way to capture each team and its city in a way that respects the past and present of the clubs while also positioning them for the future,” said Nike in a December press release about the new line. The Brooklyn Nets will also receive Nike-designed jerseys inspired by a hometown icon: the Notorious B.I.G. The black net jerseys feature colorful “Brooklyn Camo” inserts and piping, as well as a “Bed-Stuy” logo designed by graffiti artist Eric Haze. Check that out below. Read Pitchfork’s list “The 200 Best Albums of the 1980s,” featuring Purple Rain at No. 1.